On the website of RR Auction put up for sale fully functional and not a modified computer, the Apple I. The main difference of this lot similar to the original charge is restored by a specialist in such devices. The auction will take place on 25 September at 23:00 Moscow time. Online bids will be accepted on the website Invaulable. Up for auction the device was restored by master computers Apple I Corey Cohen. He assessed the condition of the concrete sample at 8.5 points out of 10. This computer worked for more than 8 hours without any errors and crashes. While it has only original accessories. The auction house wants to gain for the device is around 600 000 dollars. The original cassette interface, ACI. 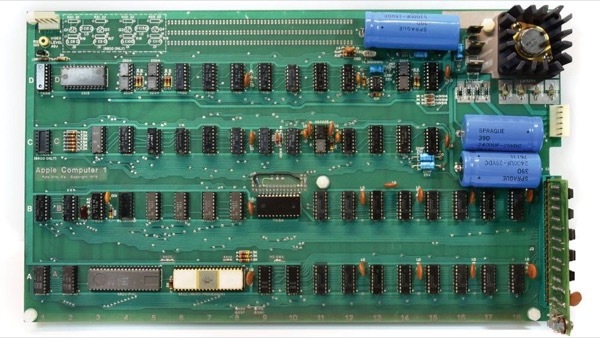 Original manual for the Apple I. Instructions for cassette interfaces, ACI. The last Apple I was sold at auction in June 2018. The model was estimated at 7 points out of 10. It was bought for $ 210,000.